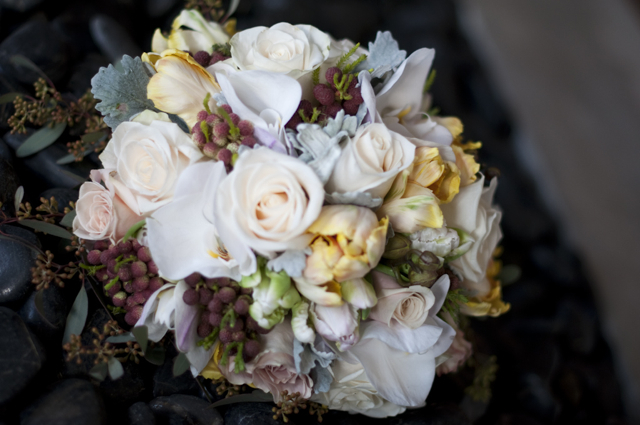 This lovely bouquet was created for a photo shoot last Spring. I used white phalaenopsis orchids, double yellow tulips, brazilia berry, vendella roses, dusty miller, sahara roses, and seeded eucalyptus. 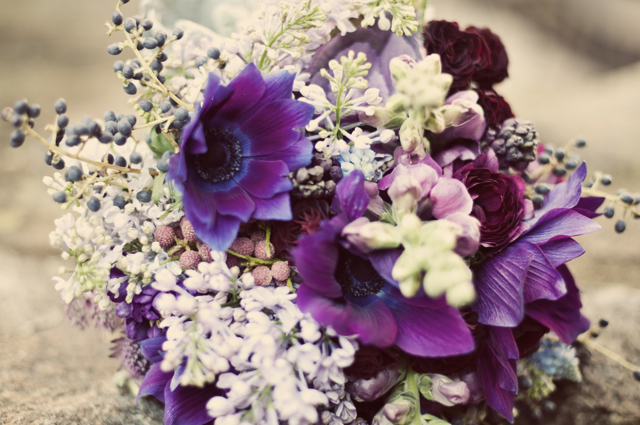 This bouquet was created with purple lilac, burgundy spray roses, wine colored snapdragons, purple anemone, seeded euc, blue privet berry, and purple hyacinthus. 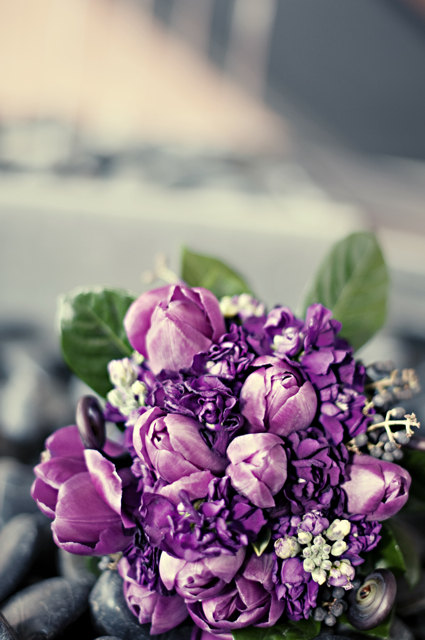 Purple tulips and stock were used to create this very simple bouquet. Fiddle head ferns were used to give the bouquet a bit of flair. 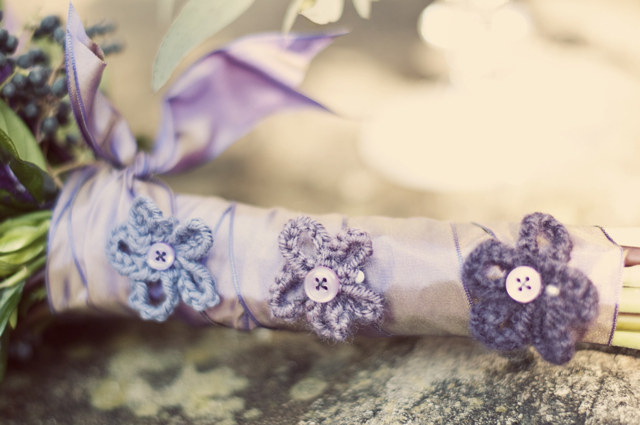 Hand crocheted florets adorned the stems. All images taken by Julie Renee Photography. I adore the tulip and stock bouquet. 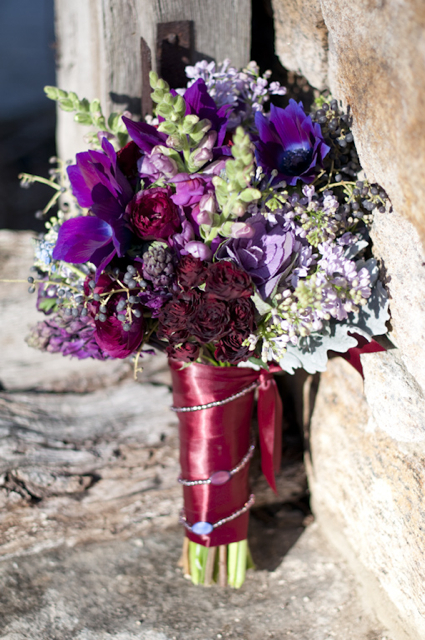 Sometimes the simple bouquets are perfection…and with the handle adornments this one definitely is perfect! You did such an amazing job on those flowers. Your work is always beautiful! It was an honor to work with you on that project!